The Library is happy to share these original questions for your use. If reproducing, please credit with the following statement: 2013 Mount Prospect Public Library. All rights reserved. Used with Permission. 1. What drove author Wes Moore to write to the prisoner Wes Moore? Why do you think prisoner Wes Moore wrote the author back? 2. Have you ever, or would you ever, write a prisoner? Why or why not? 4. What was the fate of prisoner Wes Moore’s father? 5. What significance did fathers play in the lives of both Wes Moores? 6. Did both Wes Moores have strong mother figures? Do you think both mothers tried their best? Is there anything that either of them could have done differently? 7. Do you think one Wes Moore had a stronger family unit or a better support system while growing up? How can having a strong support system change a child’s life? 8. Outside of his family, who warned author Wes Moore about the bad path he was on? (police officer after he got caught tagging) Did Moore heed this warning? For how long? Why didn’t the change stick? 9. 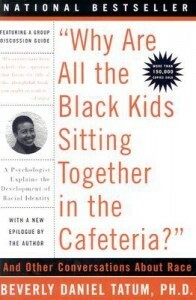 Author Wes Moore states, “Later in life I learned that the way many governors projected the numbers of beds they’d need for prison facilities was by examining the reading scores of third graders.” (p. 54) How did reading this make you feel? Why? 10. What allowed author Wes Moore to go to better schools than prisoner Wes Moore? 11. 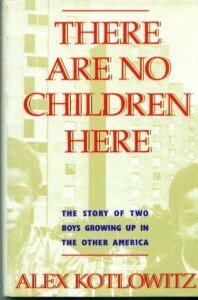 Author Wes Moore states, “Soon it became clear that the Riots were about more than the tragic death of Dr. King. They were about anger and hurt so extreme that rational thought was thrown out the window – these were people so deranged by frustration that they were burning down their own neighborhood.” (p. 19) Does this “deranged frustration” make sense to you? Are there places today’s America that feel like this? 12. Author Wes Moore talks about the Bronx in the 1980s and early 1990s as an apocalyptic place to be with drugs, burned out buildings, and crime everywhere. Are there still cities like this today? What causes cities to crumble like this? How does living in a neighborhood like this affect a person? 143. At what ages did both Wes Moores start to “go wrong”? Were you surprised by how young they were? What kind of crimes was author Wes Moore into? What about prisoner Wes Moore? 14. What was your first impression of author Wes Moore? What about your first impression of prisoner Wes Moore? 15. How did each Wes Moore respond to danger and aggression? Were their reactions the same? 16. How did Tony try to dissuade prisoner Wes Moore from following his illegal path? Why did it work or not work? 17. At one point, Mary, prisoner Wes Moore’s mother, flushed his drugs down the toilet. What did you think of her actions? Was it enough? Would you have done anything different? 18. Military school obviously benefited author Wes Moore. Do you think there were any other paths that could have set him on the straight and narrow? 19. Prisoner Wes Moore joined Job Corps. Did it help him? What did he go on to do after he exited the program? Why? 20. Prisoner Wes Moore continued to proclaim innocence, saying he wasn’t there for the robbery. Do you think the author believed him? Did you believe him? Do you think he should have been sentenced to life in prison? 21. What did author Wes Moore go on to do after exiting military school? 22. What do you think was the defining factor of why author Wes Moore stepped out of his cycle of destruction and prisoner Wes Moore did not? 23. What does education have to do with the path that each Wes Moore landed on then continued on? 24. What does racial privilege have to do with the stories of both Wes Moores? 25. What does economic privilege have to do with the stories of both Wes Moores? 26. Are racial privilege and economic privilege tied together? How so or how not? 27. Was there a topic you wished the author delved deeper into? 28. After the epilogue, there is “A Call to Action”. What is this section about? Why do you think the author put it in the book? Did reading The Other Wes Moore make you feel called to action? 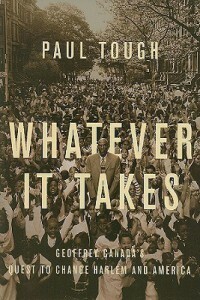 What other books have made you want to take action in the world? 29. 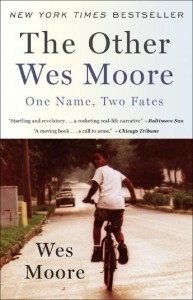 If someone enjoyed reading The Other Wes Moore, what books would you recommend to them? 30. Are there any documentaries you would recommend to someone who enjoyed this book?